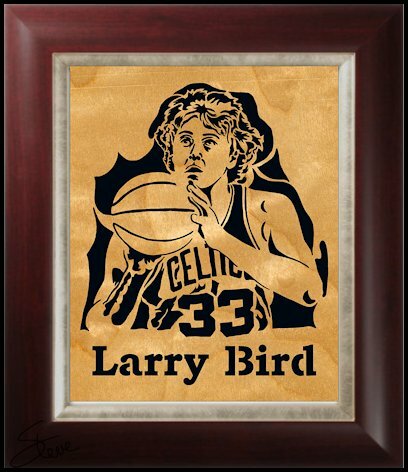 Larry Bird Portrait Scroll Saw Pattern. I have been experimenting with designing portrait style patterns on an iPad Pro with the Apple pencil. 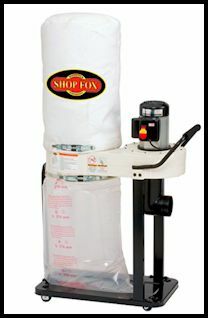 The process is much simpler using this technique. The new iPad pro 10.5 is very powerful. 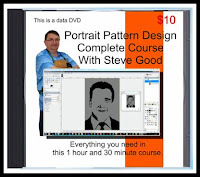 I still have to finalize the pattern on a PC with Corel Draw but that is a simple process. Using the Apple pencil to trace the contours of the photo is easy thanks to the high accuracy of the Apple pencil. I use an app called Procreate to draw the design. 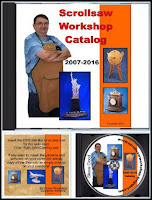 I export it as a png then vectorize it in Corel Draw. It took about half the time to use this process than it did the old way. I still have to work on the technique a little but this turned out okay for a first attempt. By the way, Larry Bird was a favorite of mine. We grew up in the same part of Indiana around the same time. I went to one of his High School games with my High School assistant basketball coach. Of course no one knew how special he would be at that point but I was impressed. His passing skills as a high school player were what stood out the most. He could dominate a game even when he was not scoring. Printed at 100% scale this pattern has some small interior cuts. They can just barely be drilled with a 1/16" drill bit. If you cut it at the designed size I would recommend a #1 spiral blade for the small cuts. You can always enlarge the pattern to fit a larger board and make it easier to cut. Patty and I spent Thursday, Friday and Saturday at Kentucky Speedway. Patty's sister and her sisters husband hosted us on millionaires row in their travel trailer. We go every year and have a great time spending the day enjoying the company and the night watching the races. The weather did not cooperate again this year but they managed to get all the races completed. Friday was especially rough with bad thunder storms. That caused the Friday race to be postponed until Saturday morning. That was a tough one because the sun was blaring and it was pretty hot. The night race was held with perfect weather. Not too hot and clear skies. Here is a cool 60 second video I took of the National Anthem sung by Kentucky's own Linkin' Bridge and a c-130 fly over. Linkin' Bridge was great. 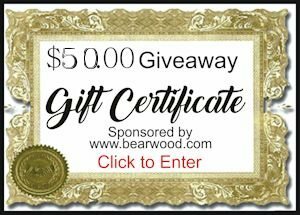 Still plenty of time to get your entry in for this month's Bear Woods $50 gift certificate. You can enter every day for a better chance to win. 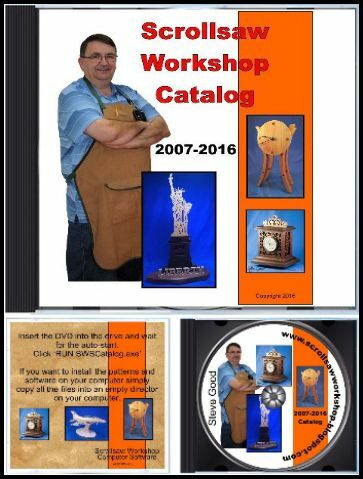 Lot's of participation this month so keep entering. 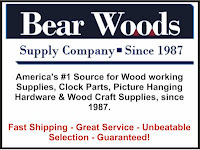 Visit Bear Woods and see what they have to offer for your wood working needs.